My husband and I really came to enjoy wine somewhere around the time we got married, almost two years ago. We liked the fact that it was a hobby we could share, and quite easily, because what’s easier than drinking wine? We began to learn more about it, to discuss what we liked about certain wines (bright, citrus) and what we didn’t like about others (cough medicine with alcohol in it). Despite the high snobbery level that is associated with those who enjoy wine, there are actually very few right or wrong answers when it comes to drinking it. The only thing that is in wine is grapes, so whether or not you taste raisins, or blackberries, or coffee, or pepper, or grass, when you drink it, you’re right! Because none of that stuff is in there. Make sense? You can train your palate to learn how to detect all the different nuances and subtleties, but nothing could be more subjective, because none of that stuff is ever actually in there! (When we were in Napa Valley for our one year anniversary and I picked up on the distinct flavor of maple bacon in a hearty bottle of red, I think I cried tears of joy. )But perhaps the thing we like the most about wine is the associations we have with it. The bottles we were saving up before my wine journal idea were from our wedding night, our first Christmas as a married couple, the wine I cooked with when we got engaged, not to mention tons of other little familiarities, even as simple as, oh we drank that pinot noir when I made that steak dish you really liked. The empty bottles in our apartment were starting to pile up and I knew I wanted to think of some way to preserve them but didn’t know how. 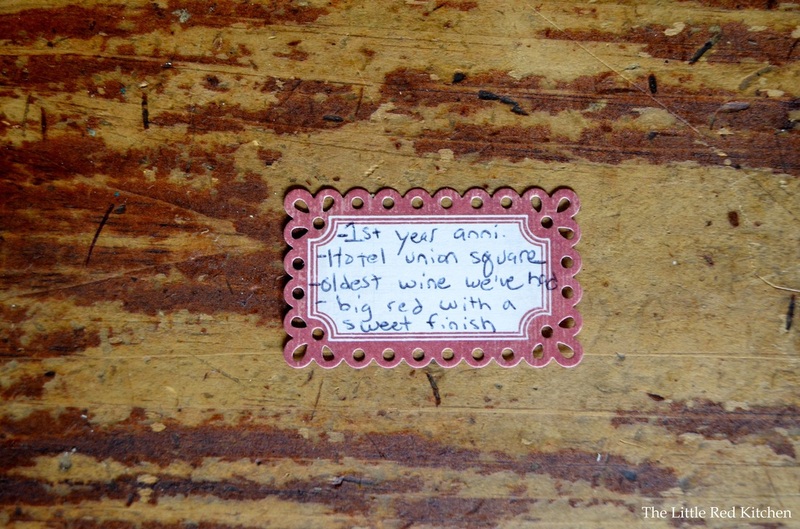 DIY cork crafts abound on the internet, but how would saving a bunch of corks that look exactly alike also save my memories of their bottles? I came across a few label crafts, but they were all too short term; I didn’t want to stick 4 or 5 in a picture frame, I wanted to create something that I could continue to build on, forever essentially! My husband’s parents literally wall-papered a wall of their house with wine labels. 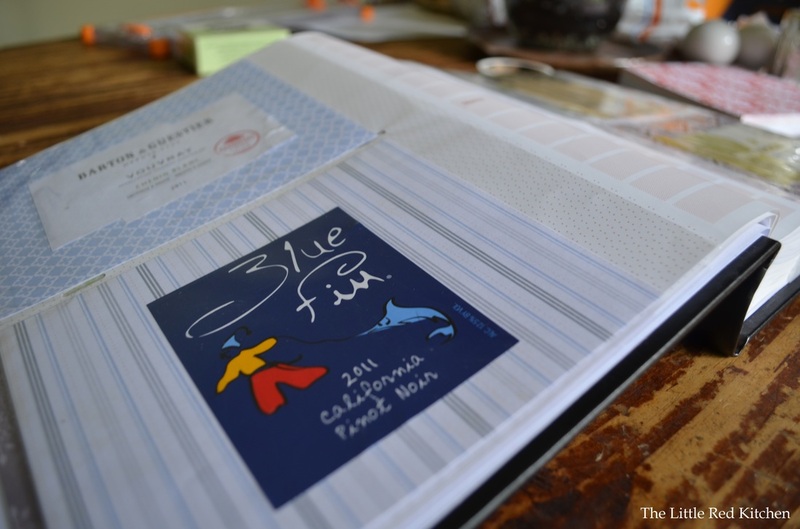 So, after carefully analyzing these two extremes, I decided to make a wine journal for my wine labels.The typical wine journal that exists is just for writing in. You can buy them, and you just fill in the name of the wine and your tasting notes on them. But let’s be honest; while I don’t fall into the trap of buying wines for their labels, they are the most beautiful part of the bottle, besides what’s inside. Also, while I care about tasting notes to some extent, I also want to remember what was special about each wine, what I served it with, who I drank it with, who gave it to us. Those things are more important to me than any ‘tannic notes’ could ever be! 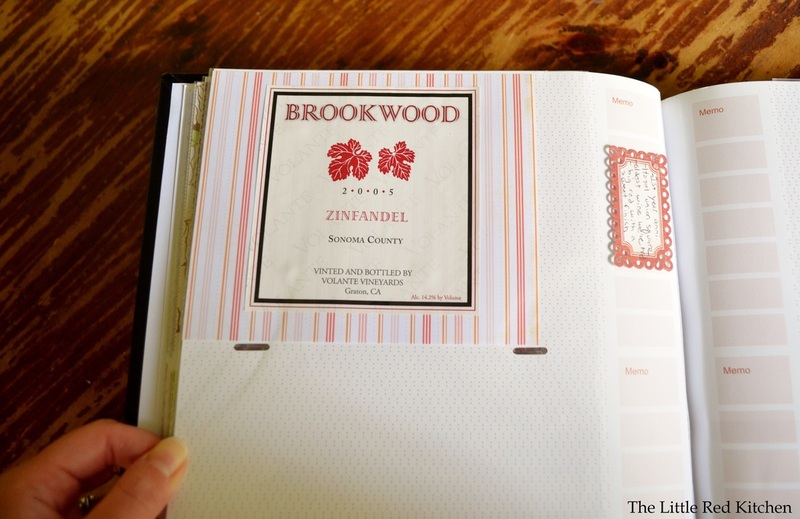 That being said, below are the step-by-step instructions for making your own wine label journal! Heat your oven to 225 degrees, and simply stick the bottle on the middle rack. Leave it there for anywhere from 10 to 15 minutes. You are basically heating up and melting the glue. You can do multiple bottles at once too. Stick it in label up and neck of the bottle facing out; makes it easier to grab when you need it. 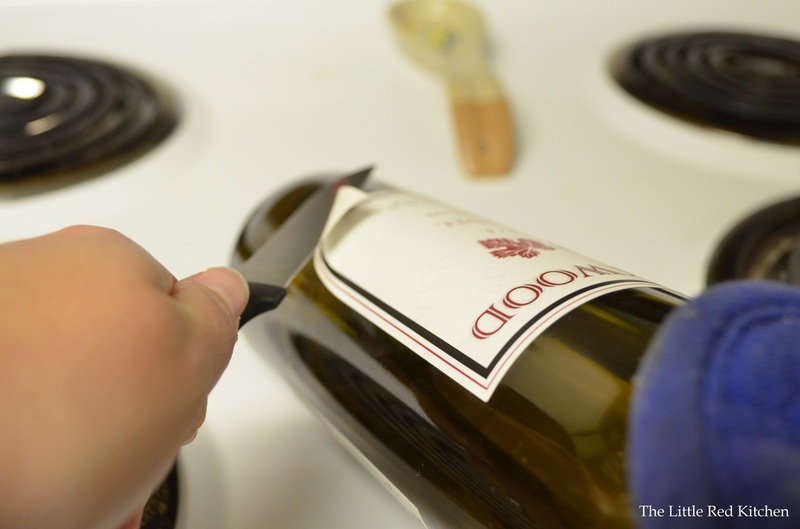 After the time has gone by, get the bottle out and, holding it by the neck with a pot holder, test the corners of the label with a paring knife to see which one is loosest. 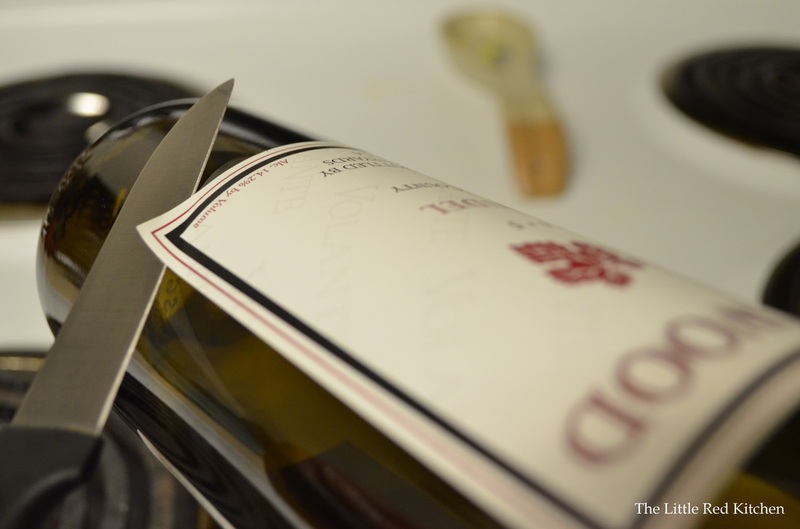 When you’ve found that corner, carefully wiggle the paring knife between the bottle and the label…the operative word iscarefully. I’ve lost a couple labels because I got too eager and ended up ripping right through the paper. 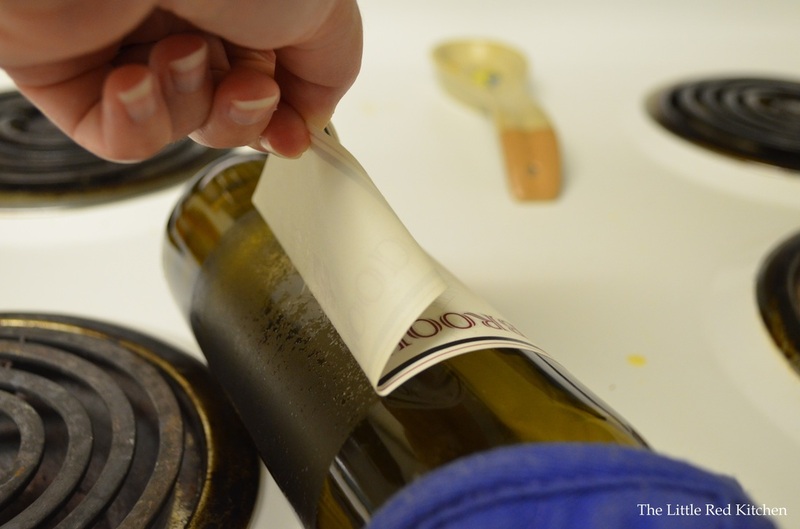 Even if it seems like the label is coming off easily, don’t rush it! Once you get to a point where there is enough label sticking up, you can go ahead and grab onto it and slowly peel it off by hand (the label itself is not too hot to touch). 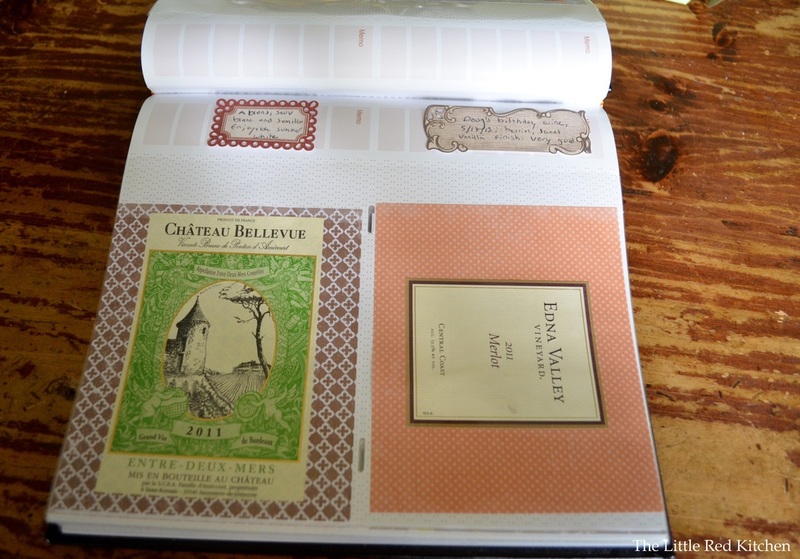 Now that you’ve got your label off, you are ready to start your wine journal! First, cut a 1-inch strip from any side of the scrapbook paper (remember, math majors, it’s a square so it doesn’t matter what side you cut from). Now it will fit into a 4×6 photo slot. Trust me, you only need to cut an inch off, it will fit perfectly. Next, you want to adhere the label to the scrapbook paper. 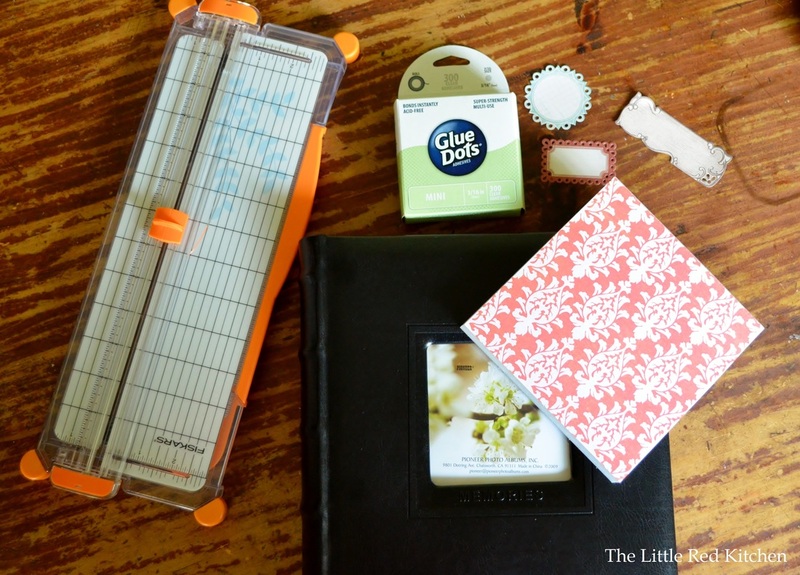 I use these little scrapbook dots because they are so subtle. Note, sometimes there is enough glue still left on the back of the label that you won’t even need any other type, which is nice. But sometimes it’s good to reinforce it, just in case. 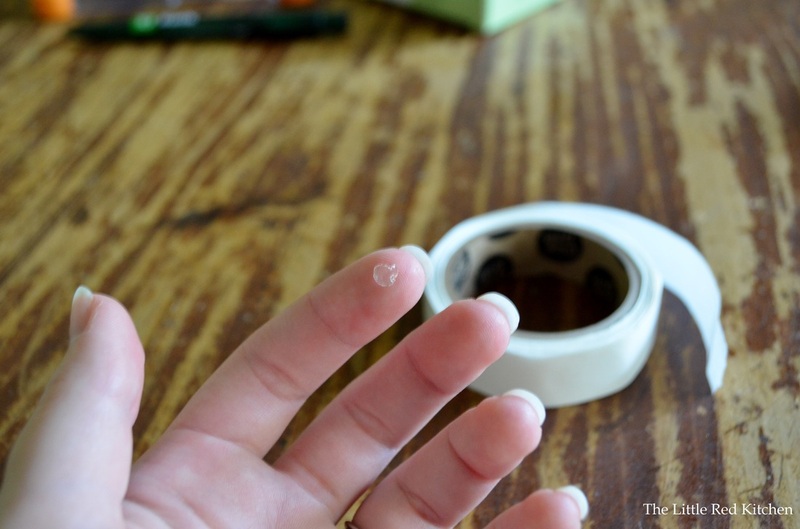 Press the label carefully to your scrapbook paper and voila! If you want you can just stop here, and fill up your photo album with your lovely labels. The scrapbook paper I have is a variety pack with tons of patterns and colors, which is perfect. 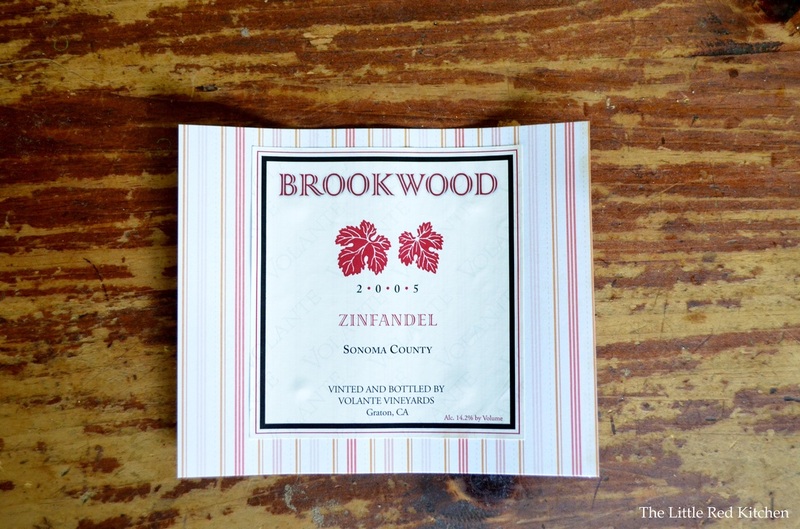 If you want to do tasting notes, or ‘set the scene’ notes, you can buy those little scrapbook labels and fill them out with details about your bottle. This is what I did for my most recent addition.